The Land Information Portal for St. Louis County, Minnesota, stores quit claim deeds and other land records. Finding land records no longer requires digging through files in offices spread throughout St. Louis County, Minnesota. Staff from Planning and Community Development and other county departments now use their new Land Information Portal, a GIS portal developed using the ArcGIS platform, to pull up land records. Powered by ArcGIS for Server, the portal gives all county departments access to the county’s store of land records and maps in a secure environment. Assessors use the portal to view real estate market data by neighborhood, calculate assessment and sales data, and ensure fair and equitable assessments of taxable residential, commercial, agricultural, and industrial property. 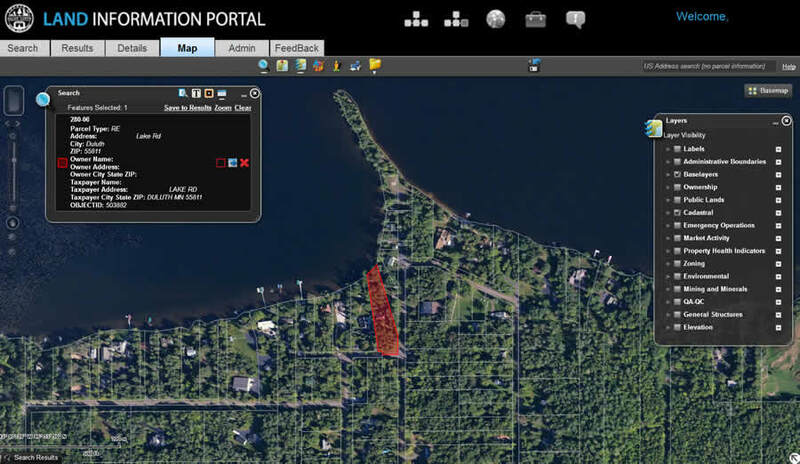 Planning and Community Development staff rely on the Land Information Portal to conduct development reviews and coordinate with the City of Duluth on property blight removal. The county’s Public Health and Human Services department also uses the portal to access assessment history when screening foster care applicants and reviewing public assistance cases. Thirty-five years into the Information Age, many counties’ land records systems consist of paper and disconnected digital documentation. St. Louis County belonged to this group prior to 2011. Investigating land records required the Planning and Community Development staff to canvass the large county in northeastern Minnesota, gumshoe style. Before the Land Information Portal was launched, county staff had to search through file cabinets for land records and maps. That typically involved using data in paper records and spreadsheets to spatial data. The purpose of that process was to present a user with all pertinent land record information about a property within a digital map. The diversity of the collections that staff had to search dizzied the mind: large paper maps, map books, indices, spreadsheets, desktop- and web-based applications, and imaging systems. 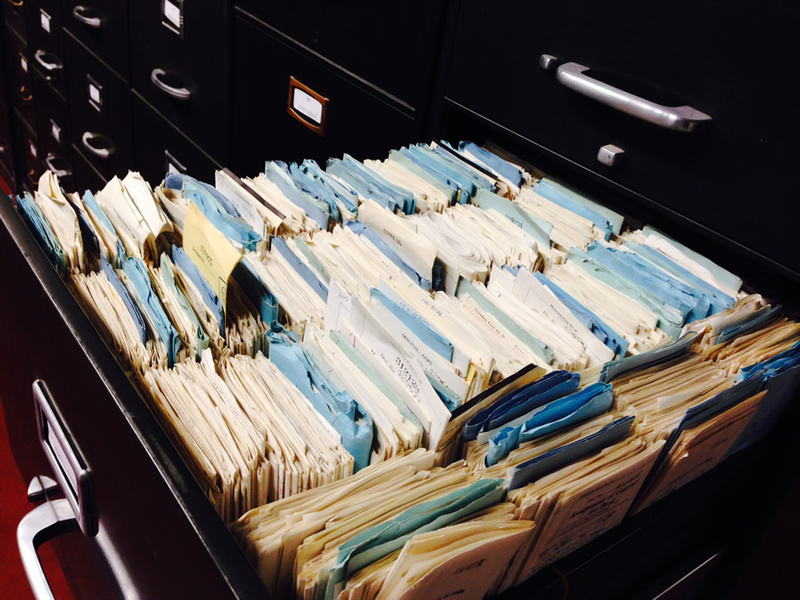 Over the years, St. Louis County had amassed a galaxy of land records information. Predictably, long delays were commonplace. St. Louis County’s 1,700 employees bemoaned the slow system for its impact on their workflow but also because clients who requested land records had to wait weeks to get information. The Land Information Portal provides easy access to tabular and enterprise GIS data in a one stop shop. Designing a new GIS-based system to manage and retrieve land records would require support from departmental directors, the St. Louis County Board of Commissioners, and outside consultants. The board members and directors led the effort to create the Land Information Portal. After creating a focus group to address all the land- and property-related issues that departments dealt with, they appointed a team to launch a digital “one-stop shop” of recorded documents and data that county staff could access. 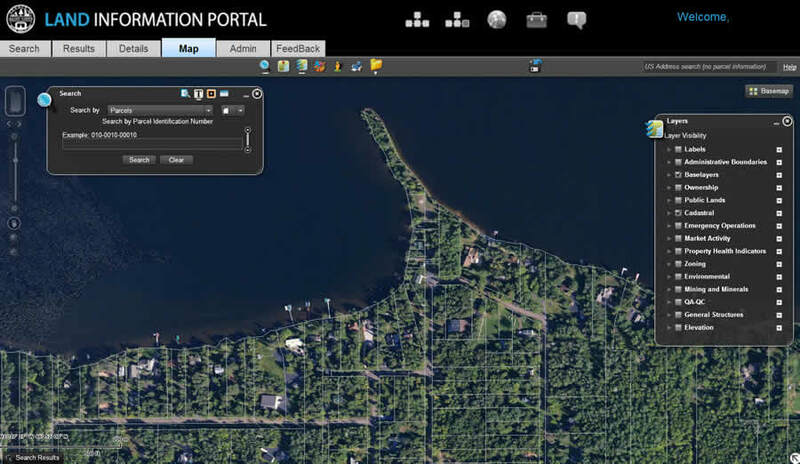 In 2009, the Board of Commissioners adopted the Land Records Management Plan to establish an enterprise GIS division to direct the development of the Land Information Portal. First, the county would have to digitize all land documentation for ease of access to the records. Complicating matters, all county recorders, assessors, auditors, planners, surveyors, and rights-of-way agents work with multiple types of paper records and documentation, such as photos, quitclaim deeds, and titles. Fortunately, digitization had already been under way throughout the county. 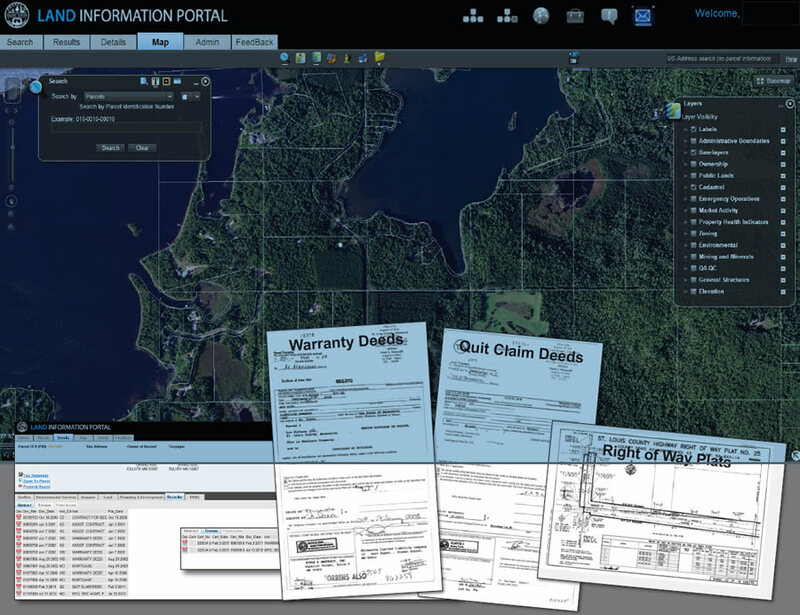 Once a parcel is selected, the user can view recorded documents within it, such as quit claim and warranty deeds, land use permits, certificates of survey, plats, and photos. St. Louis County contracted with Pro-West & Associates from Walker, Minnesota, to configure the portal framework. 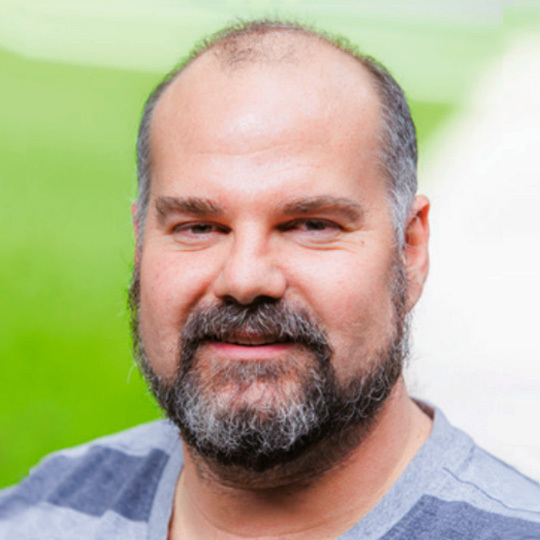 Together, they developed the querying architecture to optimize searching, SQL Server Reporting Services reports, and GIS mapping services. County IT developers linked many existing web-based applications within the portal and used ArcGIS for Desktop to design and deploy web services to ArcGIS for Server. 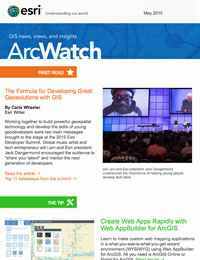 The portal has become an invaluable tool in a surprising number of staff workflows. Its wide applicability even surprised its creators. The Land Information Portal plays an integral role in the county’s daily operations and serves as a perfect model for any county to replicate. Esri recognized the successful model, honoring the county with a Special Achievement in GIS Award at the 2014 Esri User Conference. Learn more about Esri commercial off-the-shelf (COTS) solutions for land records management.